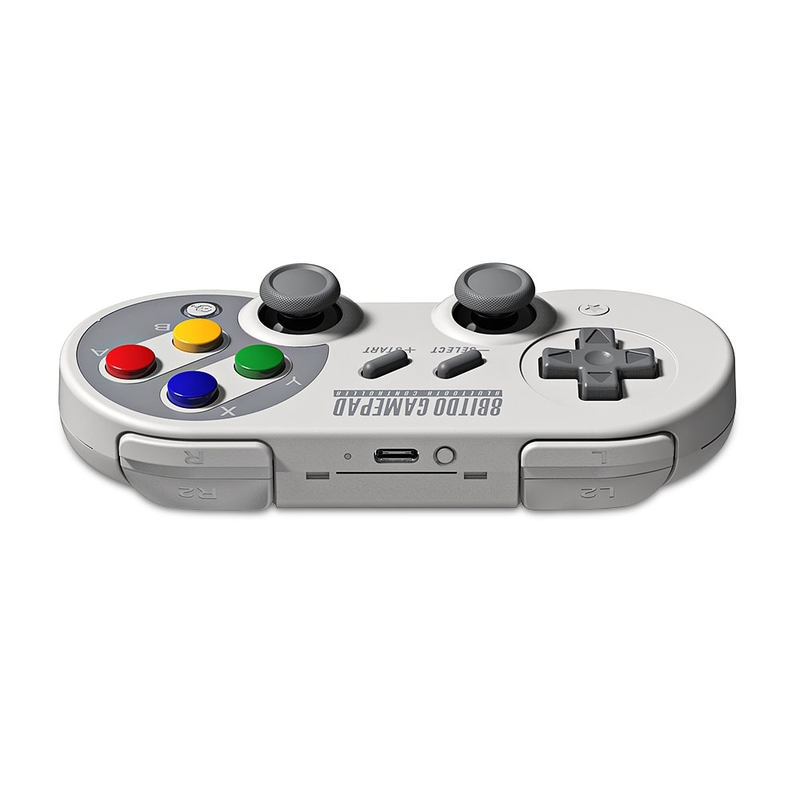 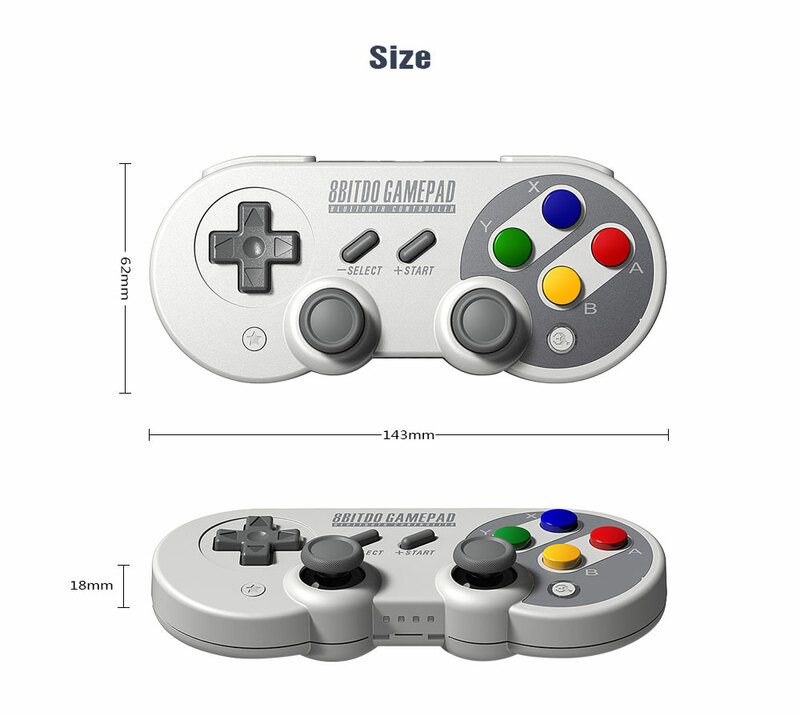 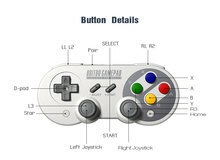 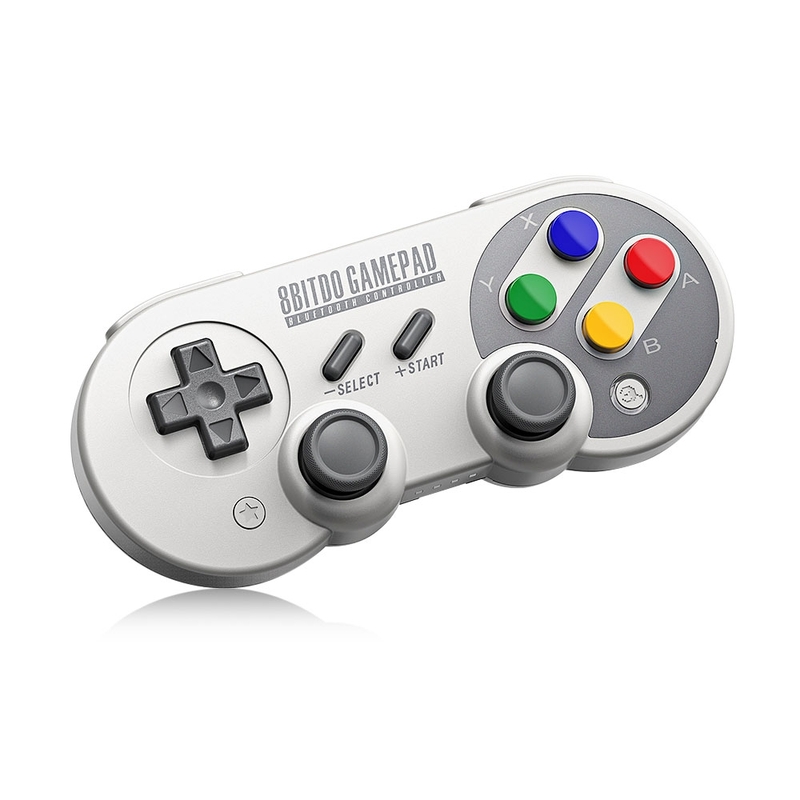 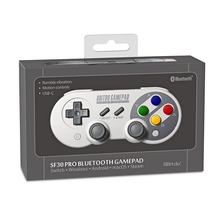 8Bitdo SF30 Pro wireless Bluetooth game controller, with classic D-pad and button layout, reminds you of retro 8-bit game consoles from the 80’s and 90’s. 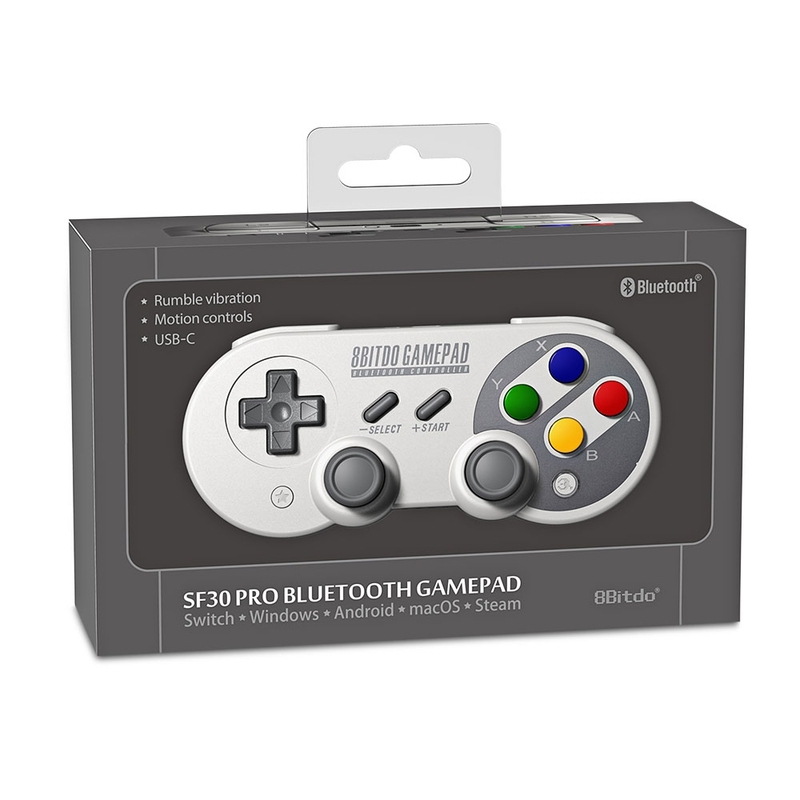 The 8Bitdo SF30 Pro wireless Bluetooth game controller works with your phone to play apps using a game controller with real tactile input. It also supports for Windows, Android, macOS, Steam, Nintendo Switch. 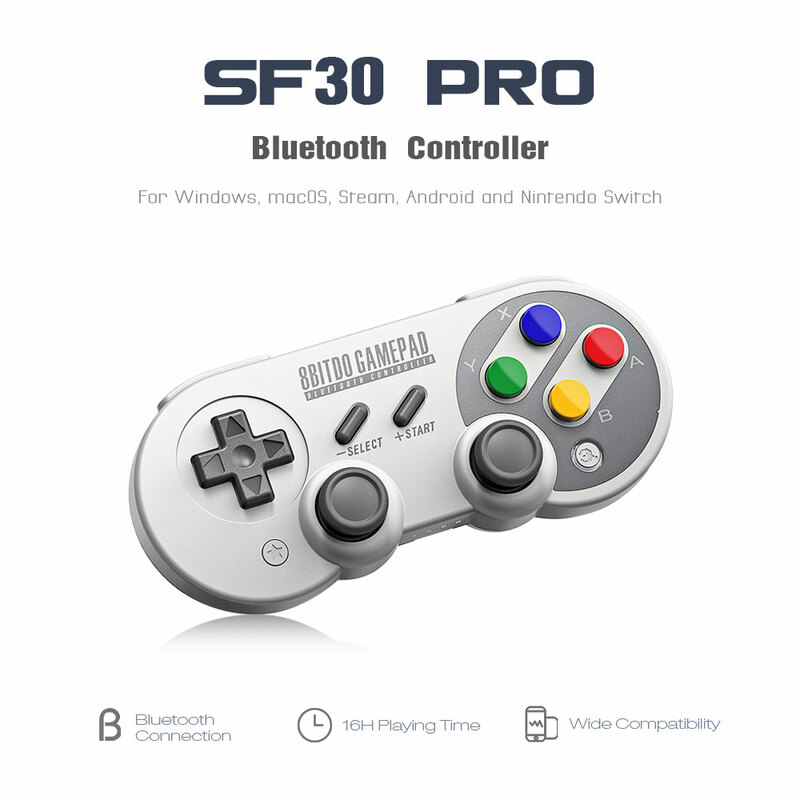 8Bitdo SF30 Pro wireless Bluetooth game controller is the best for fighting, shooting action and emulator games. 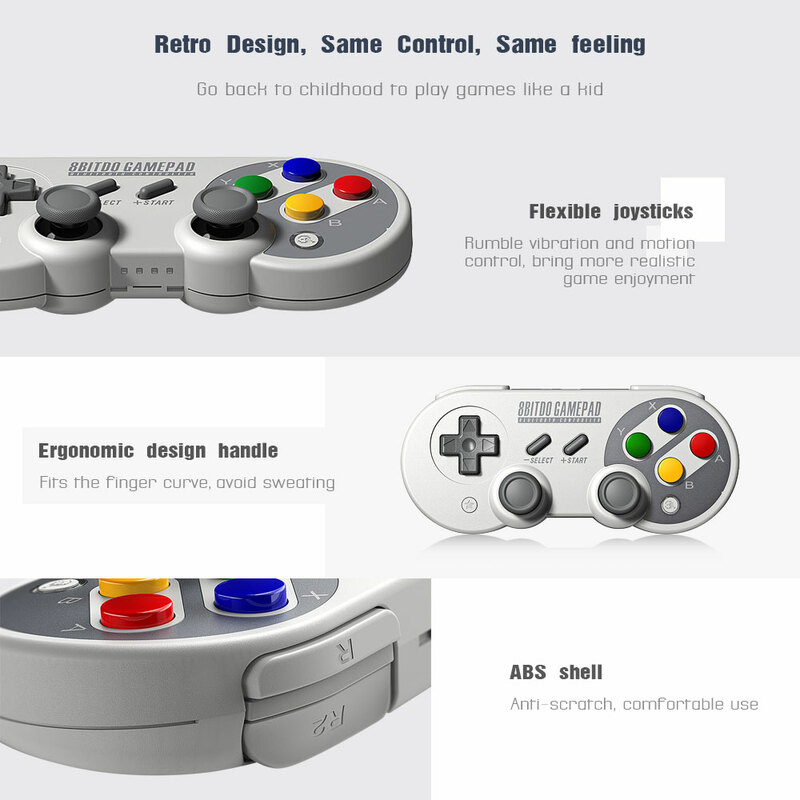 – Retro design, original pushing button, same touch, same feeling. 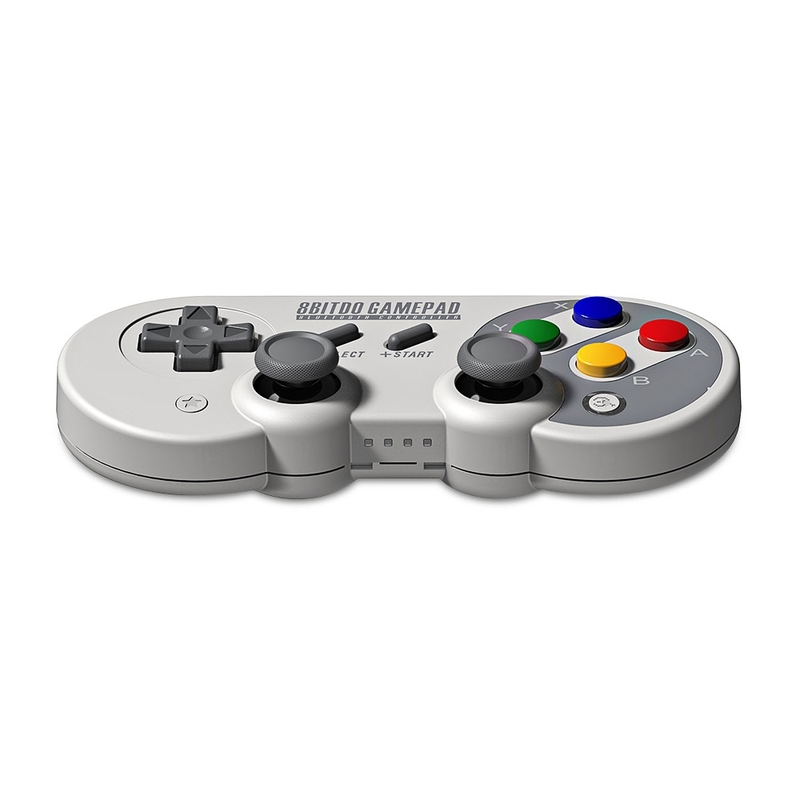 – Upgradeable firmware for function expansion. 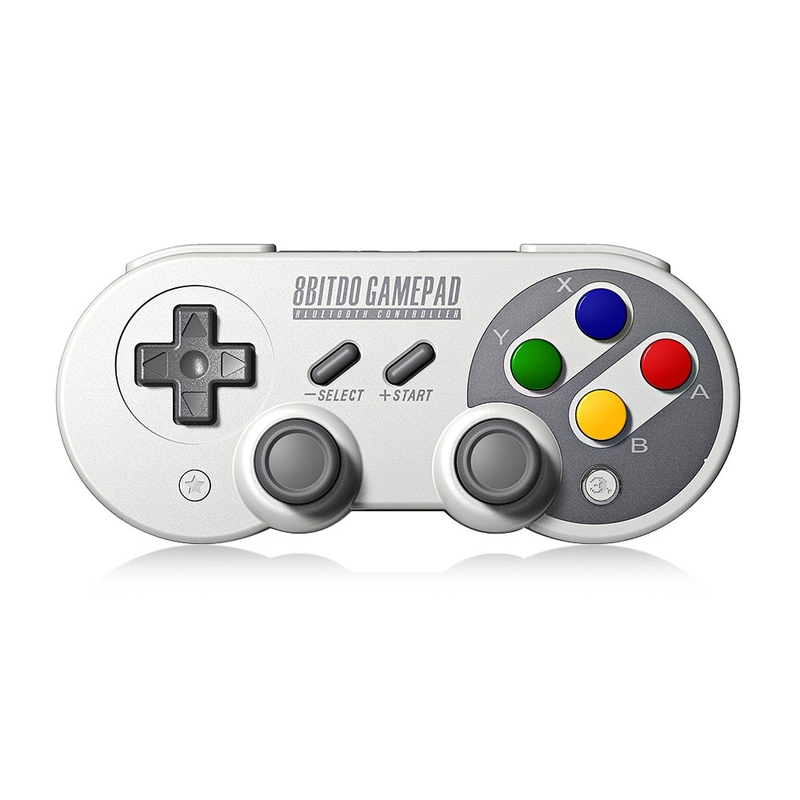 – Rumble vibration and motion control, built-in gyroscope and triaxial accelerometer, bring more realistic game enjoyment. 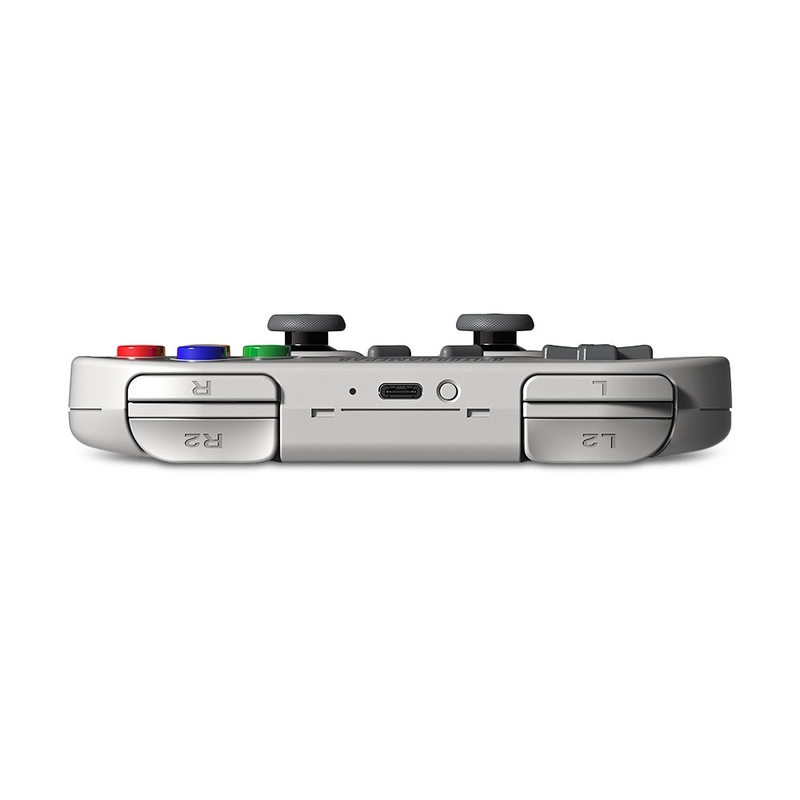 – Classic cross button and four shoulder-button design. 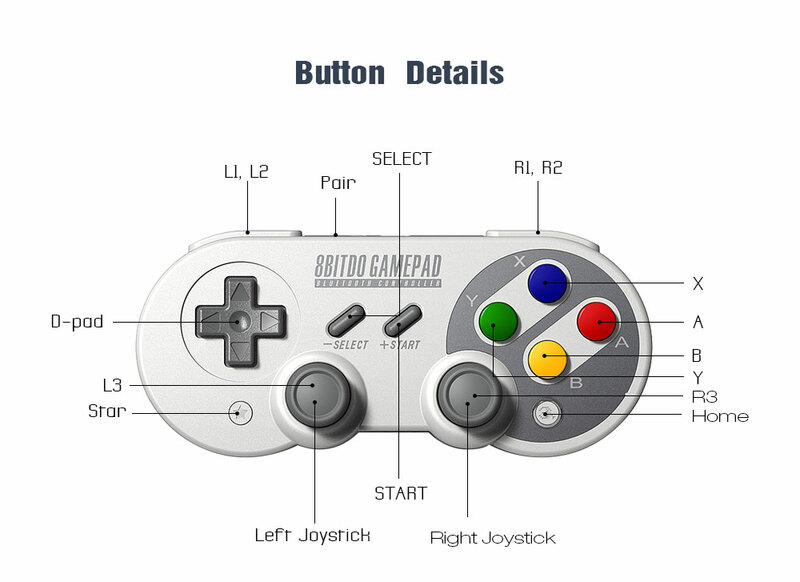 – Support the custom button for turbo function. 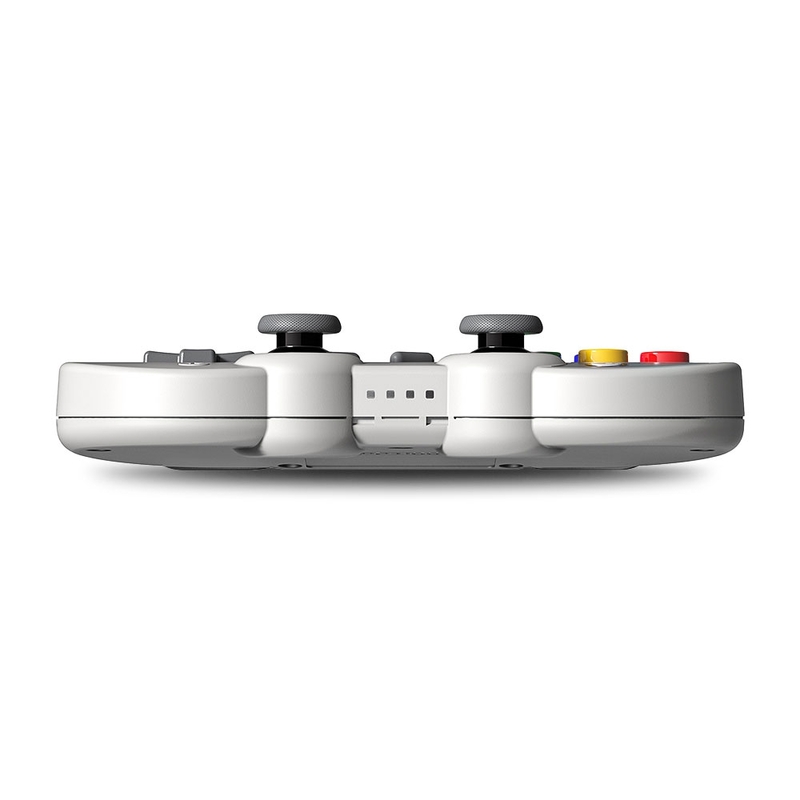 – Support both wireless and wire connection, allows 2 players to play simultaneously. 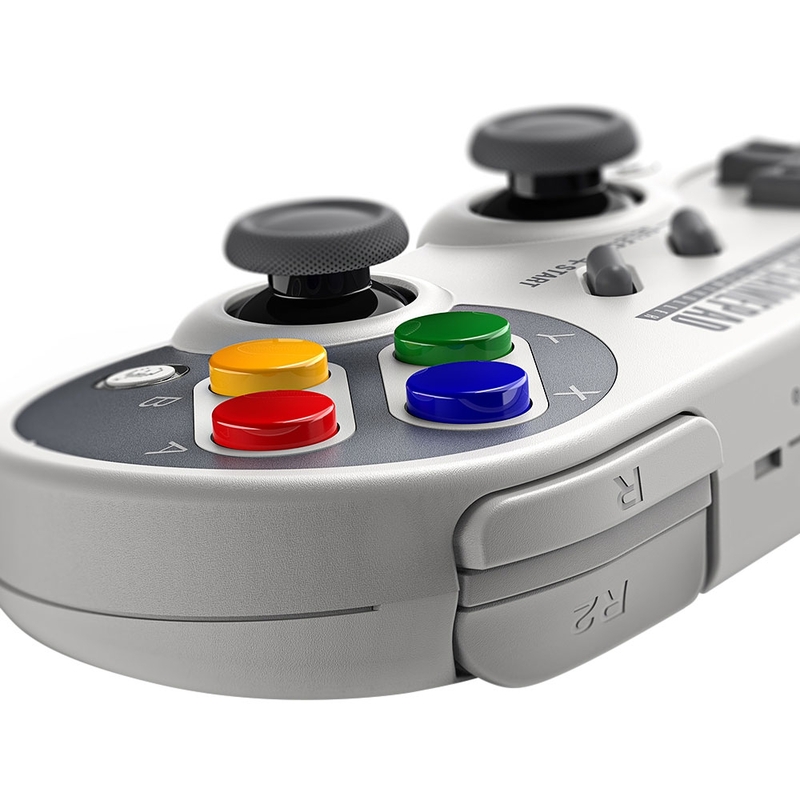 – Working modes: for X-input, D-input, Mac mode and Nintendo Switch mode. 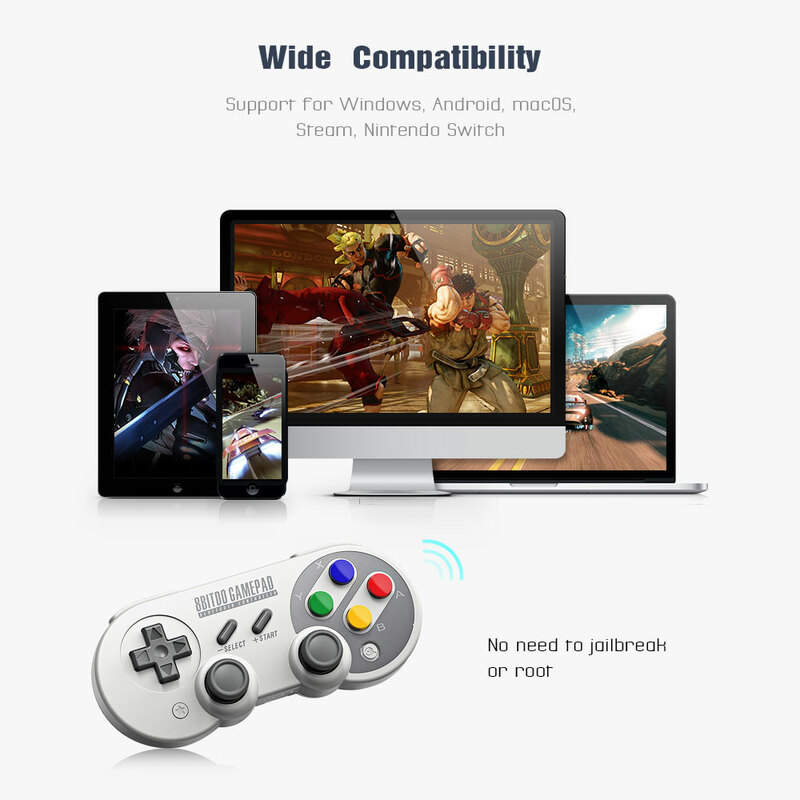 – Supports for Windows, macOS, Steam, Android and Nintendo Switch. 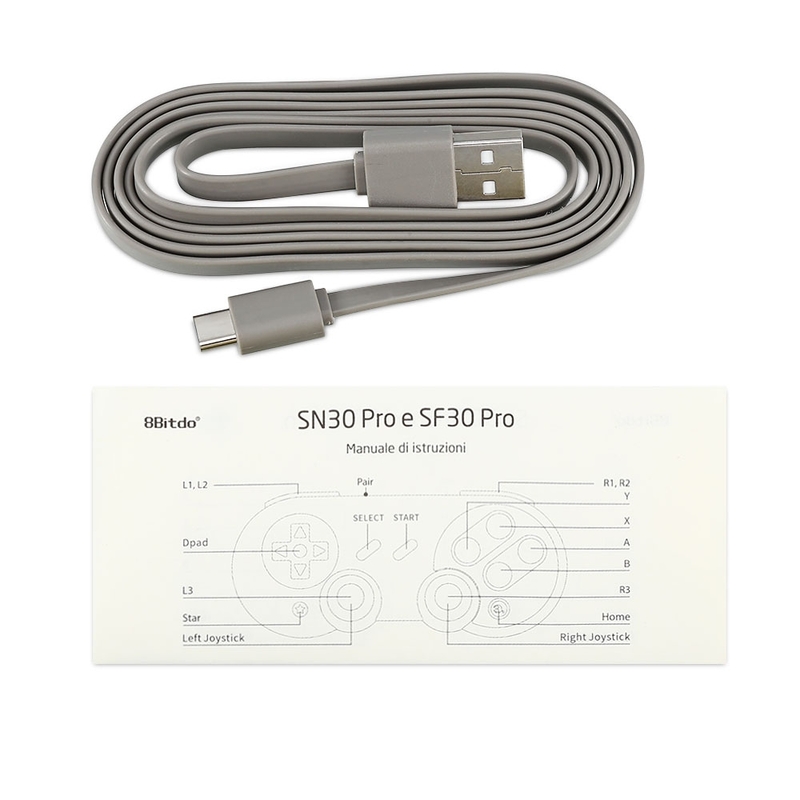 No need to jailbreak or root! 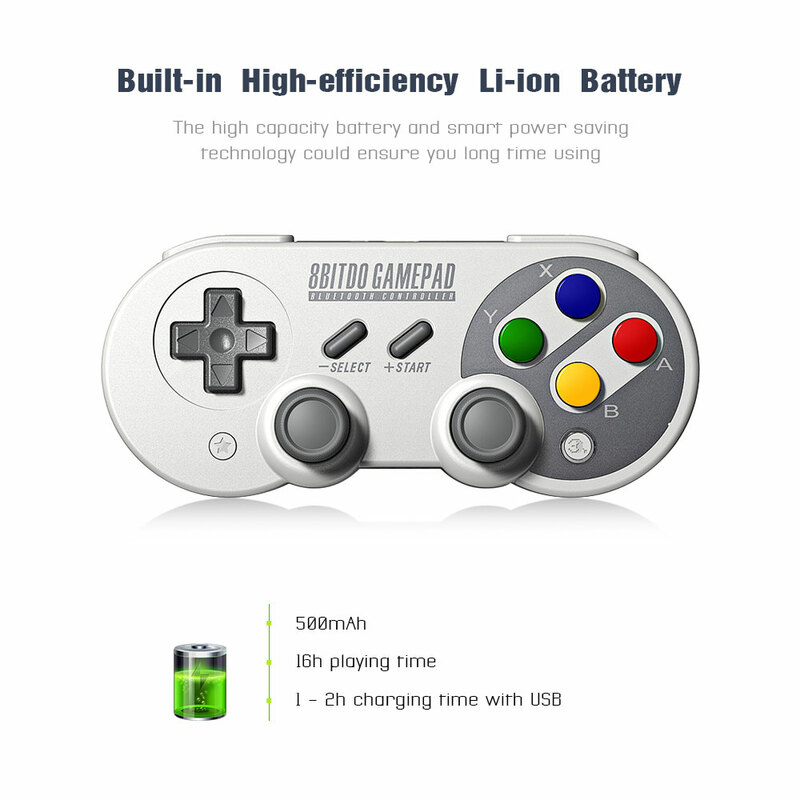 – Built-in 500mAh Li-on battery for 16 hours continuous playing time.